Let the (Educational) Adventure in Belize Begin! Hidden Valley Inn & Reserve is an enriching and rewarding family vacation and best suited for school-aged children. Belize has so many unique experiences to offer people of all ages…it is time turn off the technology and reconnect. Both on-property and off, you will find plenty to do. Be advised that Hidden Valley Inn does not have televisions, but between the daily tours, nearby trails, butterfly pond, pool and surrounding nature, there is plenty to explore and entertain. For the kids that can't get enough...night tours and short property walks are available as well. Our guides are naturally great with children and tours can be geared so that they are enticing, full of wonder and fun for the entire family. 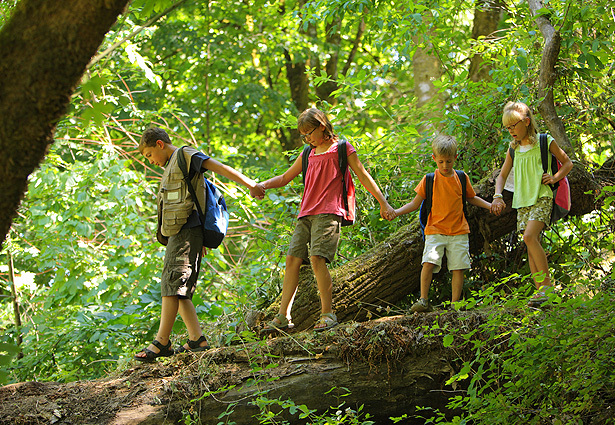 We have recommended a few of our favorite on and off-site adventures for children. These suggestions are by no means complete, but serve as a guide to planning your family expedition. Should you be interested in a tour that is not listed, be sure to ask. We can custom tailor your itinerary to suit your individual family's needs. In addition, consider Hidden Valley Inn for your family reunion. The Inn can accommodate 24 adult guests plus children privately, for a truly exclusive family vacation that provides diversity for all but the community in the Inn itself. Children under 12 stay for free at Hidden Valley Inn; maximum of one child sharing room with parents.